Liz fell in lo ve with Pilates when she took her first class in 2007 and found that through the busy times of raising children and living an active life, coming back to the studio is what centered her. 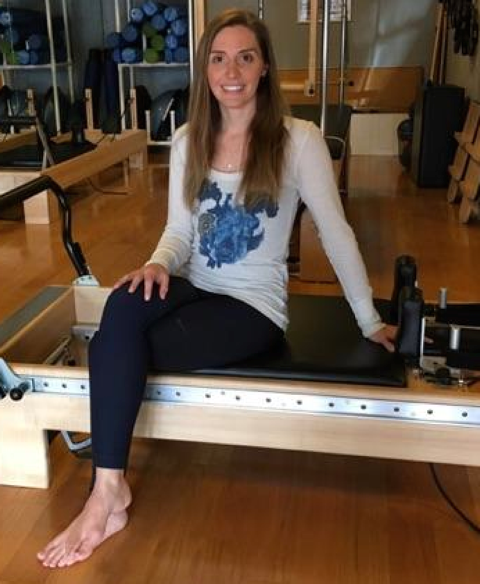 The confidence, strength and balance that Pilates brought to her lead her to become a Certified Pilates Instructor through Momentum Studios in Albuquerque, NM to allow her to encourage others to find those same things in their lives. The belief that each person holds an innate knowledge of movement in their own mind and body no matter their lifestyle is what drives her to encourage growth and build strength for her clients. A Colorado transplant, Liz thrives on time spent outdoors hiking and camping, and loves to share her background knowledge of the environment with her two willing kids. Gardening, reading, baking and spending time with her two children and husband keep her grounded.